Deschutes Brewery is set to release three limited, small-batch brews in March 2019. Look for Black Mirror, Tempranillo Flanders and a collaboration beer, Skiffy Snuggler Hazy Pale Ale brewed with Varietal Beer Co. and Hopsteiner. The first of Deschutes Brewery’s Reserve Series lineup for 2019 will be released this week. Black Mirror, an American Style Black Barleywine, is deceptively unique and with its dark color and rich full body. Aged in 98% bourbon and 2% American oak barrels for eleven months, Black Mirror comes directly from the barrel with notes of chocolate, coconut, vanilla, whiskey, toffee, and dried fruit. The rich malt character brings a subtle sweetness to balance the hint of oak in this robust beer. 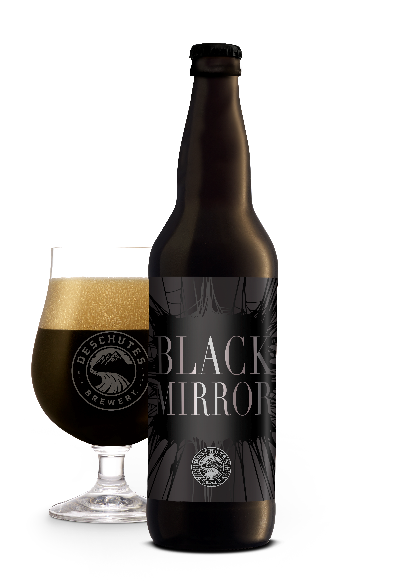 “Black Mirror is a tip of the cap to Deschutes Brewery’s Mirror Mirror, it’s a dark version aged in bourbon barrels as opposed to wine barrel aging in Mirror Mirror,” said Assistant Brewmaster Ben Kehs. 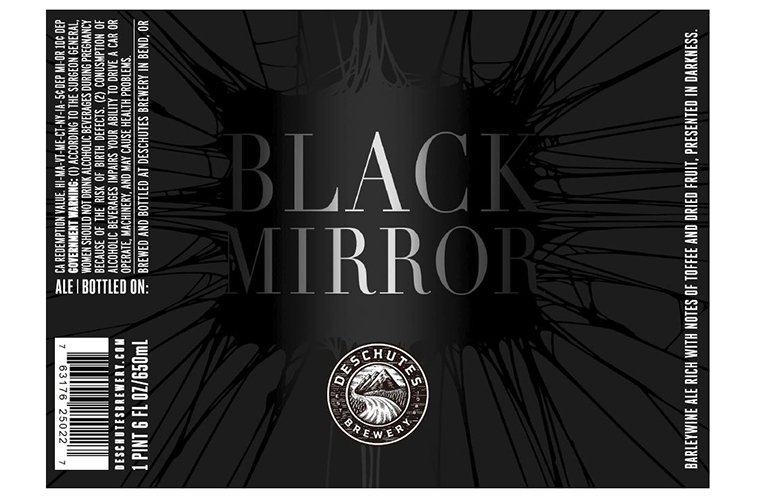 Black Mirror is 13% ABV with 45 IBUs and available in 22oz hand-dipped wax bottles and draft everywhere Deschutes is sold. Samples available upon request. Tempranillo Flanders has big wine character from the Tempranillo grapes, dried fruit, brett character, and tart, dry finish and combines several wild yeast strains to intensify the wine character and its effects on the beer, pouring a beautiful dark red garnet color with pink foam. Tempranillo Flanders is 11.7% ABV with 15 IBUs. Available in 500ml bottles and draft at the Deschutes Brewery Public Houses in Bend and Portland, Oregon. Samples available upon request. Skiffy Snuggler Hazy Pale Ale – Collaboration with Varietal Beer Co. The collaboration, named Skiffy Snuggler Hazy Pale Ale, is 5.7% ABV and 50 IBUs and will be on tap at both Deschutes Brewery’s Bend and Portland, Oregon pubs in early March. Varietal Beer Co. will then tweak the recipe and re-brew and serve on tap at their brewery in Sunnyside. Tags:Barleywine, Black Mirror, Deschutes Brewery, Hopsteiner, Mirror Mirror, Pub Reserve, Skiffy Snuggler Hazy Pale Ale, Small Batch Beer, Tempranillo Flanders, Varietal Beer Co.